Be sure and take your Elf Magic Elf along on this secret family Elfcapade. Fill a holiday themed goodie bag/sack with festive cookies, candy or toys and tie closed with a ribbon. 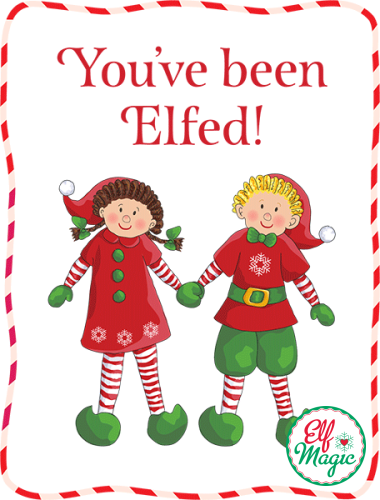 Download and print the ‘You’ve Been Elfed’ poem and card sheet. Cut along the card sheets dotted line to create two separate cards and fold. Sometime before Christmas, find a neighbor or friend that has not be Elfed and are home. Secretly leave the treat bag, poem/instructions and two cards at their front door. Ring the doorbell or knock and RUN! 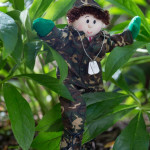 Hide around the corner or in the bushes to see their reaction when the door is opened. Don’t give your location away! 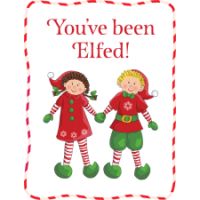 The neighbor will now tape or hang one of the cards to their windows or front door to show the neighborhood they have been ‘Elfed’. 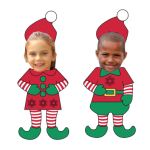 The neighbor can make a copy of the poem and cards and take a turn ‘Elfing’ someone new and pass the game along.